To highlight a remarkable event like moving to a new house. 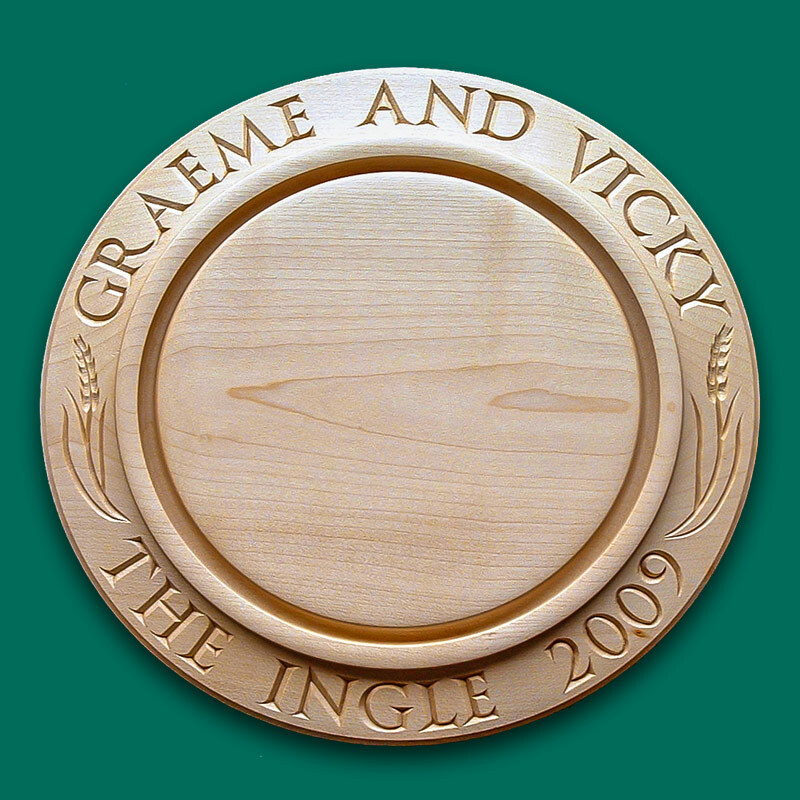 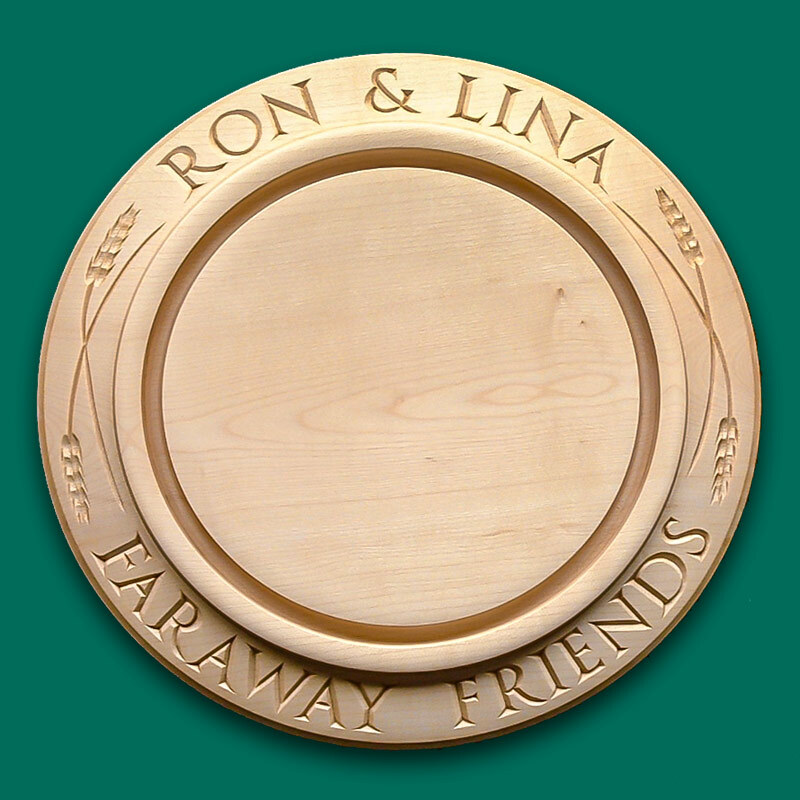 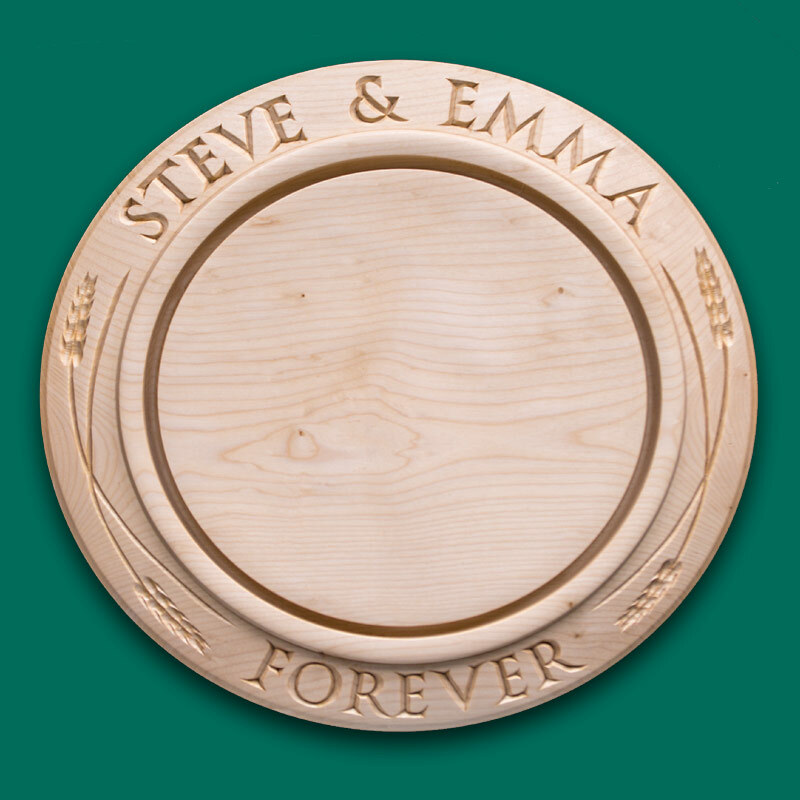 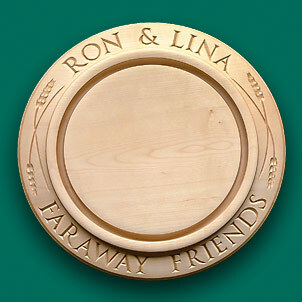 This bread board was commissioned when the couple moved into "The Ingle"
Ron & Lina live faraway in OZ. 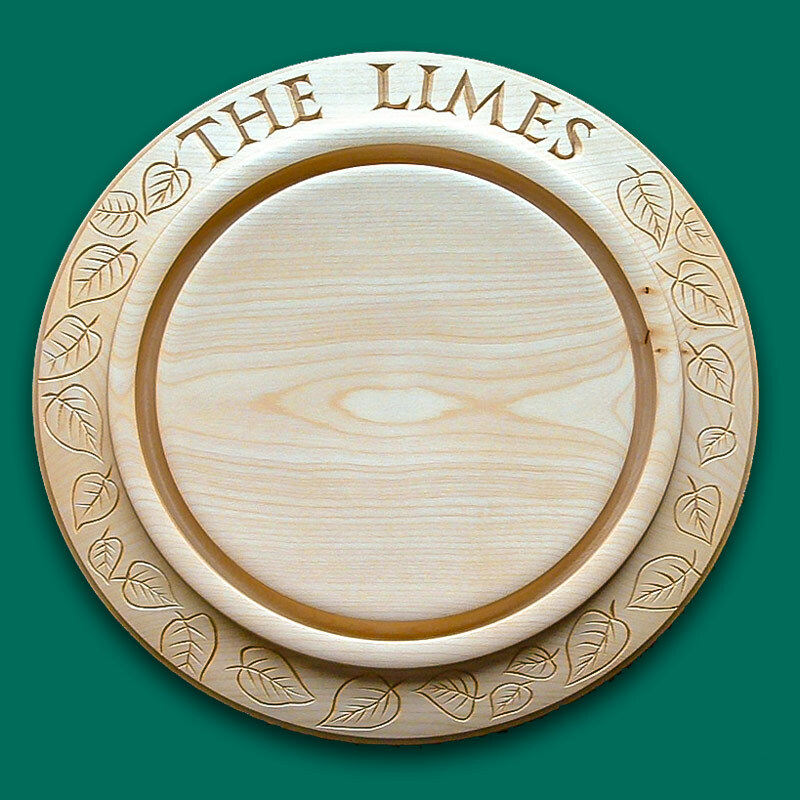 A personalised bread board for "The Limes"
This was destined for USA. 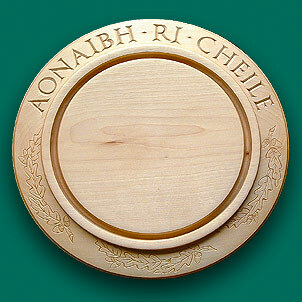 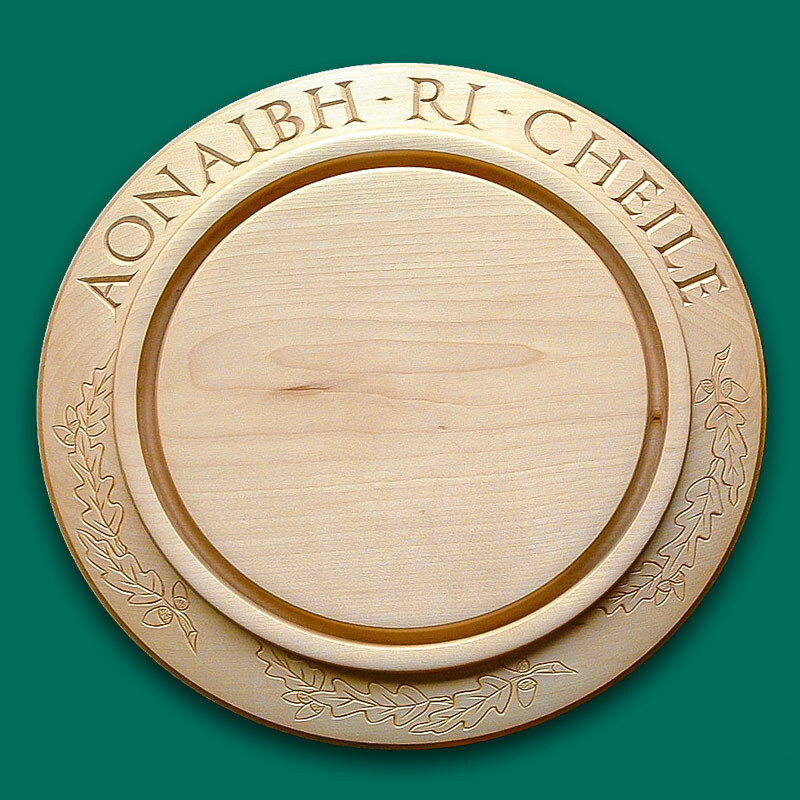 This is the clan motto "Let us unite" of clan Cameron.DEcorated with Oak leaves and Acorns. 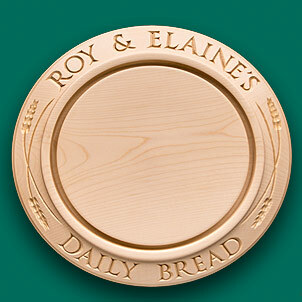 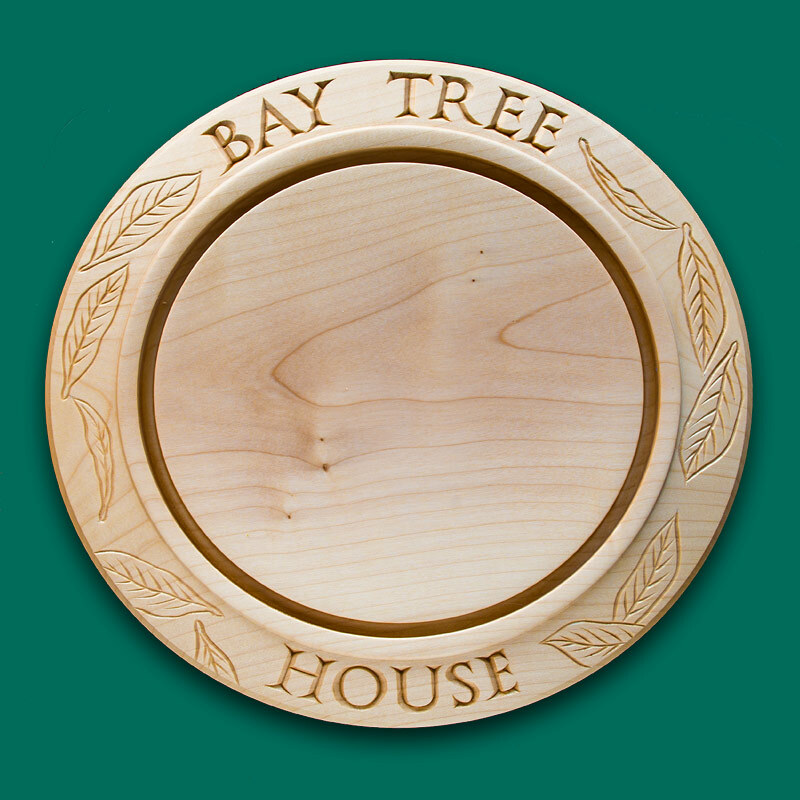 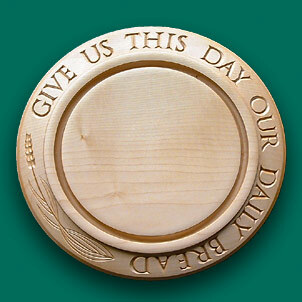 "Our daily bread" bread board. 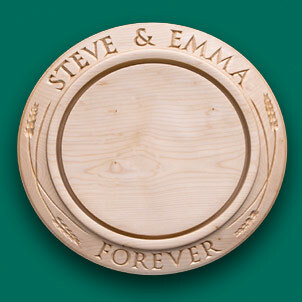 The bread board was decorated with a single more elaborate stalk of wheat. 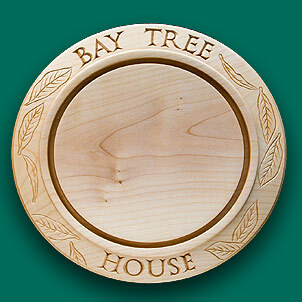 This was given as a house warming present. 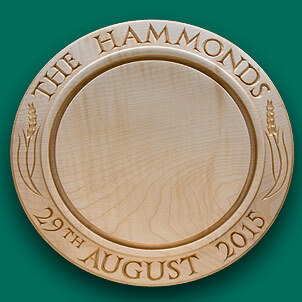 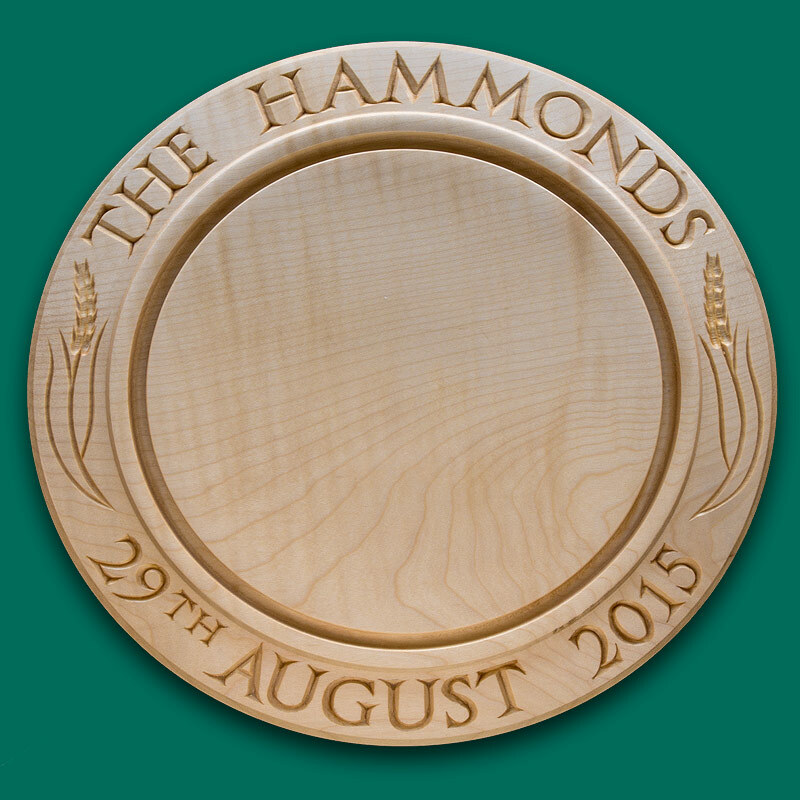 The Hammonds were given this when they moved to their new home. 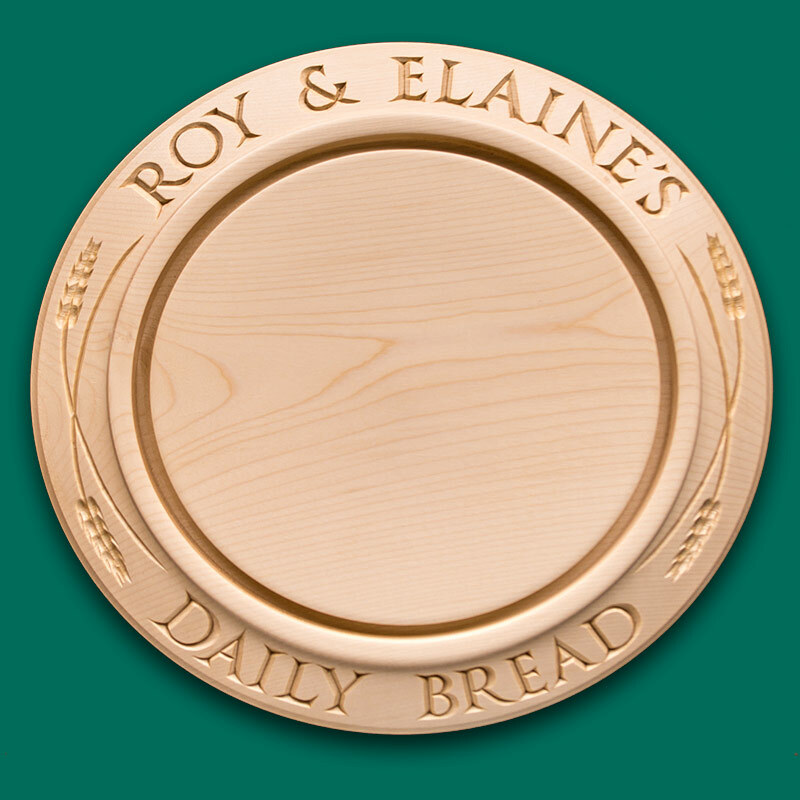 I decorated the bread board with Bay leaves.